Brace yourselves. 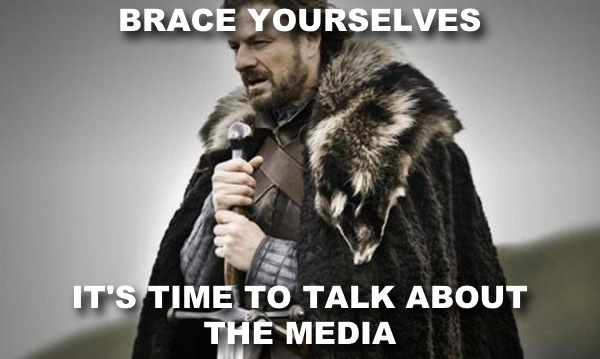 It’s time to talk about the media. I’m not talking about what you should and shouldn’t watch. I’m not talking about media addiction (which is a fun topic actually – I’ll have to tackle that sometime). I’m talking about how Christians are portrayed in the media. Because we have to face facts: we’re kinda the running joke. The Bible is oftentimes hard to understand. As modern day readers we have to take into account our own bias and the original intended audience. If you want to get technical, I took a class in 2010 at Multnomah called “Advanced Bible Study Methods” which gave a long list of requirements on how to study scripture. Scripture is difficult to get a handle on! 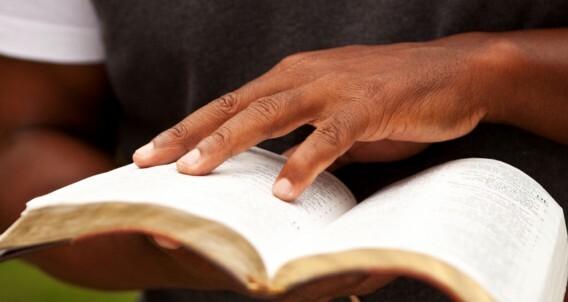 Some Godly men and women spend their entire life studying scripture and still come to have better understanding later in life; the key, I think, is to not force our own understanding onto scripture and misinterpret what is there. I had heard this used many, many times as a Gospel Message: Jesus was standing at the door to sinners hearts and was knocking and they only needed to let him into their lives. But if you read the context (surrounding passages) that message was not what was being communicated! Jesus was talking to a church that was “lukewarm” and had lost its zeal for the Him: his urging that he was at the door knocking was directed at CHRISTIANS not non-Christians. I went to my professor and asked why it was such a bad thing to use the passage as a “come-to-Jesus” verse and he responded by asking where I would draw the line in repurposing scripture – God’s Word was not for me to fit into my own box but to study and learn more about him – even if I was interpreting scripture in a “good” way, it was still wrong. So let me fix what I originally said: the Bible is oftentimes hard to understand correctly. It’s actually very easy to come to a simple understanding of scripture but that doesn’t mean it is right. I say this as much to myself as to you, my friends: never stop reading and studying scripture. Never stop asking God for understanding and clarity. I believe I have a more clear understanding of Revelation 3:20 than I did a few years ago but that doesn’t mean I’m done looking at it and trying to discern God’s Word more fully. To take inspiration from a famous quote by John G Mitchell, co-founder of Multnomah University: Read your Bibles, folks!